Hugo G. Ortega, founding partner of Tanner & Ortega, LLP, is an experienced attorney in the fields of Personal Injury, Labor Law and Matrimonial Law. Mr. Ortega graduated from The City University of New York, Queens College in 1984. 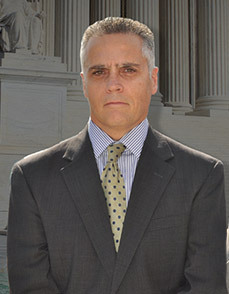 He later graduated from Temple University School of Law with a Juris Doctor degree in 1987. Mr. Ortega was admitted to the New York State Bar in 1988, to the United States Southern District Court of New York in 1991 and to the United States Eastern District Court of New York in 1993. Over the years representing accident victims, Mr. Ortega has established a reputation with insurance carriers and defense counsel as a no nonsense trial attorney who vigorously fights for his client's rights, and who will not settle any case unless his clients have been properly compensated for their full injuries including lost past and future wages as well as pain and suffering. In the field of Labor Law, Mr. Ortega represents members of Teamsters Union Local 237, the largest Teamsters Local in the country with over 24,000 active New York City Civil Service employees. Mr. Ortega has represented hundreds of members in disciplinary hearings in which his clients face severe penalties such as a suspension from work or possible termination. He has earned a reputation amongst both adversaries as well as Administrative Law Judges, as a litigator who is extremely aggressive, always prepared and a lawyer who tenaciously fights for all his clients. Mr. Ortega has been an active member of the New York State Trial Lawyers Association since 2005.